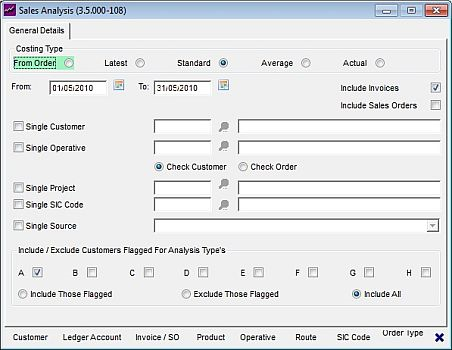 How does PromoServe calculate cost prices on Invoices? 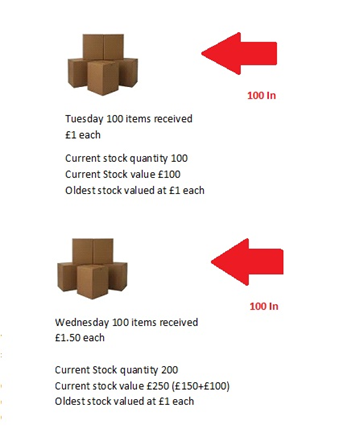 If when raising a sales invoice you notice that the cost price on the invoice is different to the cost price on the sales order & purchase order, it isn't the system going wrong, PromoServe actually uses FIFO (First In First Out) which means that when you despatch an order it will take the oldest stock (i.e stock that was 'First In') and despatch that rather than picking up the stock that you may have received specifically for this order. 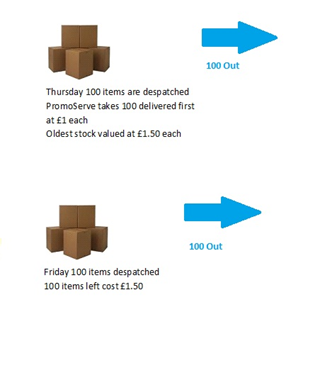 If on Monday you raise a new sales order for 100 of product A then raise a purchase order them at £1 each, these are then received in on Tuesday, PromoServe will record 100 items in stock with a value of £100 (£1 each), but Monday's order doesn't need despatching until Friday so the sales order stays at 'Acknowledged' status. When the original sales order gets despatched on Friday there is only 100 items of product A left in stock and that is costed at £1.50ea so this cost will then get pulled through to the invoice. So even though the total cost prices on both invoices total the correct amount as they were despatched in a different order to how they were received the cost price has been swapped around. 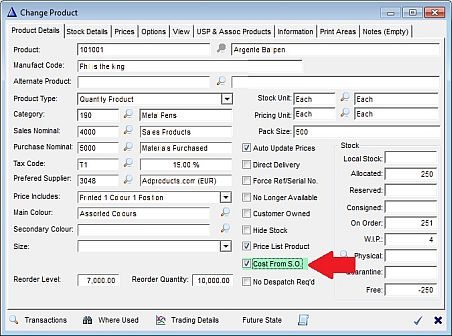 If you don't want FIFO costing to be calculated when despatching stock, then on each product record there is a tick box called 'Cost From SO' If this is ticked then the system will take the cost price from the sales order and put on the invoice regardless of how much stock you have it and the cost associated to what has been despatched.